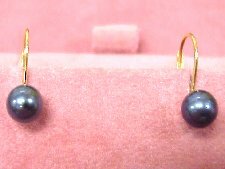 6.5mm AAA Chinese fresh water black (dyed) pearl earrings with 14K gold mounting. 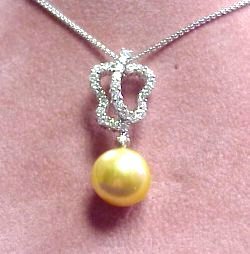 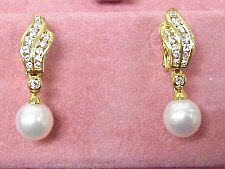 8.5mm pearl earrings with 0.65ctw round brilliant diamonds set in 18K gold. 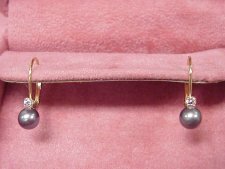 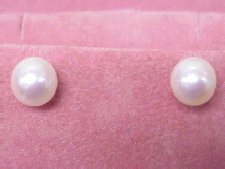 Custom 14mm Mabe' pearl earrings set in 14K gold. 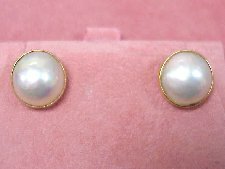 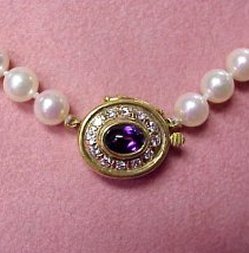 Custom 15mm Mabe' pearl earrings set in 14K gold. 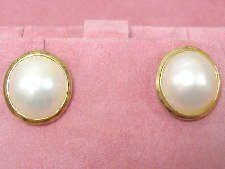 9mm AAA Chinese salt water pearl earrings set in 14K gold. 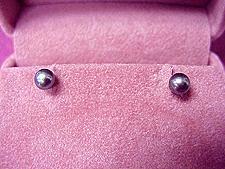 5mm Chinese fresh water black pearls set in 14K gold leverback with a 0.06CT round cut diamond in each earring.